« Branding: Why Buy Eyeballs That Won’t Buy? Start at the small end. If you have a fairly simple product — like soda pop — you can often communicate directly with your market. You figure out who’s likely to buy and craft messages that will appeal to them. Nothing stands between you and your audience. It’s like talking with someone standing nearby on a calm, clear day. When you have a complicated product or service, on the other hand, you’ll need to deal with an embedded commentariat of current customers, gurus, analysts, pundits, kibbitzers, journalists, and competitors. Each layer of the commentariat can distort your message. It feels like yelling at a person 100 meters away on a windy, foggy, rainy day. Let’s say you’re introducing a next generation product. You’ll go through an early customer acceptance test to sort out last-minute issues. Once you have everything sorted, you can just put out a press release, right? Wrong. The issue is that your product is complicated — nobody understands it fully. If your product is very innovative, you have a doubly difficult problem. First, nobody understands it. What does it do? Second, nobody understands its category. What’s it supposed to do? Potential buyers will ask you lots of questions but will then turn to the commentariat to seek verification and validation. So, before you talk to the market, you need to ensure that the commentariat thoroughly understands what you’re doing. Think of an ice cream cone — it’s wide at the top and narrow at the bottom. 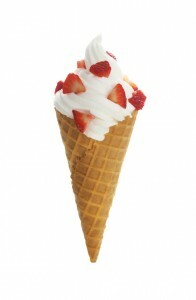 The trick with ice cream cone communication is to analyze from the top down but communicate from the bottom up. The top of the cone — the widest part — represents your market. It’s big and broad and tempting. Communicating with the market is your ultimate goal. To get there, you’ll need to work your way through the commentariat. To organize your communications, work from the top down, with a simple question, “Whom do they trust?” So, who would potential customers trust? It’s a good bet that they would trust the trade press. So take your story to the trade press before you take it to potential customers. Who do the trade press trust? Well, they’ll probably ask to speak to some gurus or analysts who have studied the issue in more detail. So brief the analysts before you take the story to the trade press. Who do the analysts trust? Customers. Analysts want to hear directly from customers, preferably without you in the room. So, prepare your early customers to talk to analysts and then make sure they meet. And customers — whom do they trust? They’ll talk to many of your employees. Let’s say you’ve told a customer, Angela, that your new product is the best thing since sliced bread. Then Angela talks to John, her favorite consultant on your support line. Angela asks about the hot new product. John says, “I’ve never heard of it”. Unwittingly, John has just undercut the entire communication chain. Angela loses confidence in the product and may even jump to the conclusion that you’re lying. So always start your communications with your own employees. They’re the narrow, bottom section of the ice cream cone. Make sure they understand the key messages associated with the product. Then work your way upward and outward in the cone, to the interlinked audiences of the commentariat. It will take some time to get to the top of the cone — your target market – but it’s well worth the effort. Travis – I love the Ice Cream Theory. Explaining this really complex set of circumstances in such a simple way is impressive. Thank you. A fun and usable analogy, and another well-written post. Keeps me coming back for innovative thoughts/perspectives.